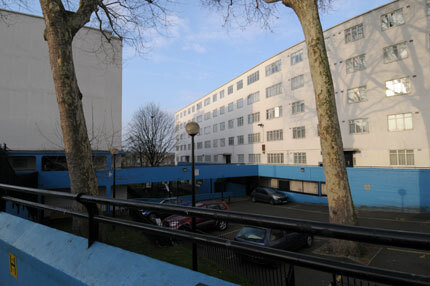 This was a pre-feasibility study into the creation of a potential EcoQuarter at North Kensal commissioned by the Royal Borough of Kensington and Chelsea in April 2008. 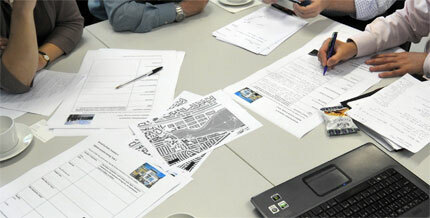 It explored whether the Council’s current vision for the site – comprising placemaking, regeneration, sustainability and transport infrastructure aspirations – had the potential to be viable and deliverable in the longer term as a major transformational project. The study considered constraints and physical parameters, a range of diverse future scenarios and opportunities, as well as costs, risks and other deliverability issues. These are provided in the full compendium of documents including and Overview Report, Baseline Report – setting out existing conditions and parameters, an Options Report – exploring the implications of alternative scenarios and options, and a Risk Report – identifying the various types of risk which could affect implementation of the various options. During the commission, the global credit crunch and economic crisis increasingly undermined the team’s ability to consider future situations with any degree of reliability. Nevertheless, we consider that there are some key findings. 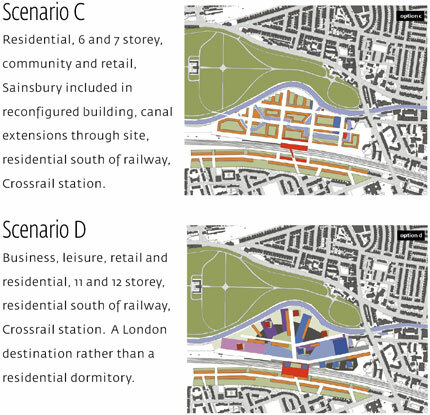 There is definite potential to undertake significant development on the study area – and to influence regeneration in the surrounding areas in the northern part of the Borough and in adjoining boroughs, and possibly even at a London level and beyond. The full scope and scale of transformation is dependent on a number of factors, including the ability to capitalise upon opportunities and address some very real constraints. The rail and canal corridors form barriers to north-south movement within and beyond the site. 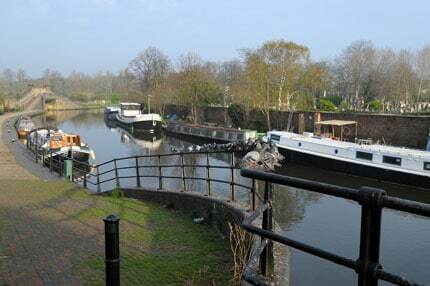 Whilst development could possibly be built over the railway, this is unlikely to be viable for the canal. 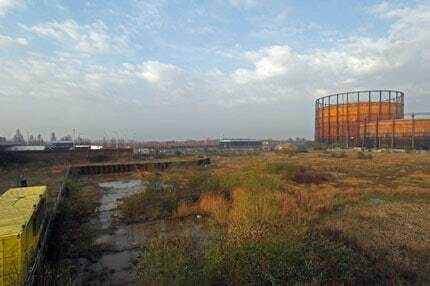 Safety concerns around the gasholders are likely to prevent residential development on portions of the site as long as the gasholders are in place (until at least 2016). The single vehicular connection to the site makes it isolated, both in terms of public and private transport. It also places significant physical constraints on the quantum of development. The existing Sainsbury’s store may or may not wish to move from its current site – it could possibly be redeveloped as part of a larger, denser development. Crossrail are seeking to use part of the southern portion of the site as a temporary bus garage during construction works, to 2017. The recommendation is to pursue as ambitious an option as possible in partnership with the key landowners, and to continue to build up the parallel case for a station. We see this option being represented as a composite of C and D at this stage, beginning in the eastern part of the site, and extending westwards over time as the gas holders are decommissioned. This composite is more ambitious than options A and B, but is more feasible than option E. It could also provide a basis for including part of option F if the opportunity presents itself. Given that this stage in the process was upstream of generating any real development proposals, it was necessary to explore a wide range of possibilities in an open, value free way. 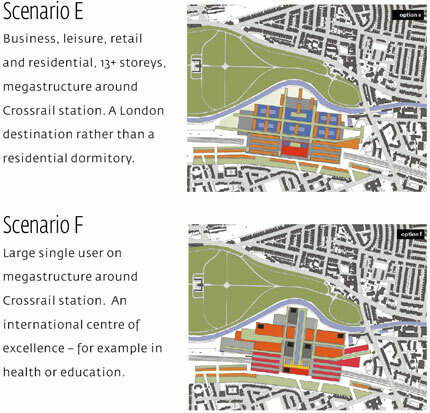 Therefore, rather than ‘design’ a selection of alternative indicative schemes, the method at this stage was to explore and develop a range of scenarios (future circumstances) with associated development typologies (physical place outcomes). At this stage of feasibility testing we considered it important not to prejudge any outcome, nor to have premature preferences that may preclude creative options be explored. 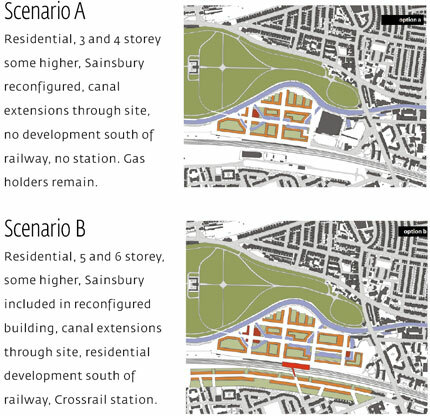 Also, we found it particularly important to be open-minded about both cost-value parameters (these changed even in the short time of the study) and about a potential Crossrail station – even though this has been a desired outcome of the Council – because it is not in itself a ‘given’ component. The scenario approach used enabled different kinds of future circumstances and outcomes to be constructed, explored and developed, then further reviewed and tested for feasibility and desirability. This method was wide-ranging including scenarios various people acknowledged were more or less desirable. It was not simply a wish list of a few idealised end-states. These scenarios were explored in a future situation (2025) well beyond the limits of current policy, and also without community involvement at this ‘upstream’ stage. Our view is that this open, relatively creative approach demonstrates a wide range of possibilities. Importantly, it generated a wide range of relevant issues for further testing, review and, where appropriate, policy action and dialogue with landowners and statutory bodies. The study team comprised Kevin Murray Associates (lead), Willie Miller Urban Design (WMUD), Alan Baxter Associates, Battle McCarthy, Colliers CRE and Gardiner & Theobald.